For our blog, May will be all about success. Our daily challenges, post, and encouragements will all be geared to helping you reach your full potential and having a successful life. This month we will be having a giveaway. The rules, prizes, and everything else is in this post! Every Monday, Wednesday, and Friday something will be posted. Leave a comment on an article and state how that post helped you, your personal success story that relates to that particular article, or other suggestions to improve it. You are allowed to comment on more than one article. Note: All e-mail feed subscribers and fans of our Facebook ‘like’ page will receive special tips on how to win. So check your inboxs! If you haven’t ‘liked’ our Facebook page you can do so on this website and/or subscribe to our site via e-mail. You must provide your name and e-mail address when commenting. You don’t have to put it in the actual post, when you comment it will already be there. Any comments that are anonymous and/or do not have an e-mail address will not be eligible for the prize (Last name is not necessary). One person per e-mail address. Please do not make up a comment. Let it be authentic. There are no requirements to how long your comment has to be. How will the winner be picked? After prayerful consideration, the individual who has the best (although I am sure all will be great) comment will receive the prize. A flameless candle (battery operated, yes batteries included). It is made out of glass and has an iron base. The Scripture Mark 10:27, “With God All Things Are Possible” is printed on it. This plaque has photographs of abstractions that appear as letters. Together they form the word “Faith”. 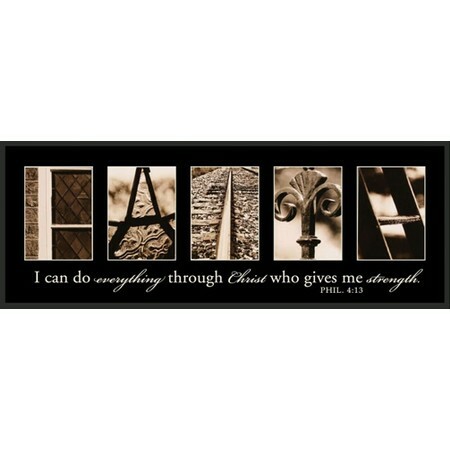 Below the photographs is the scripture Philippians 4:13: “I can do everything through Christ who gives me strength”. It is made on a black, wooden block. This cup has the names of Jesus written over it. 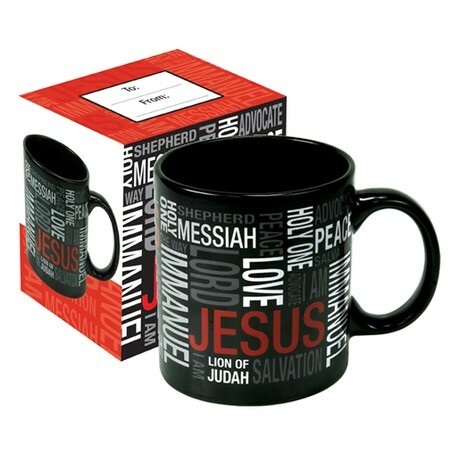 This is a classical stoneware mug and it comes with a gift box. Framed print with an eagle image. Below is a Scripture from Isaiah 40:30-31 Even youths grow tired and weary, and young men stumble and fall; but those who hope in the Lord will renew their strength. They will soar on wings like eagles; they will run and not grow weary, they will walk and not be faint. It has an acrylic face with silver-tone corner accents; velvet easel back. The winner will be notified via e-mail on June 1st and we will announce it on our site. If we do not receive a response within five (5) days (June 6), we will choose another winner.